The ruler of Westeros governs from the Iron Throne, forged from the blades of battles long past. 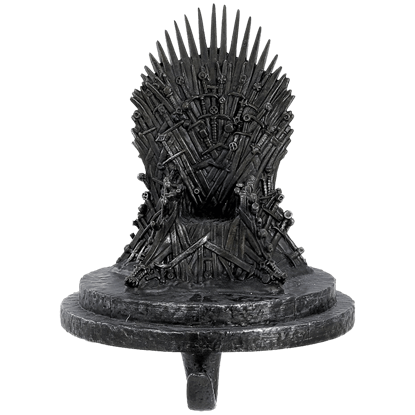 The Game of Thrones Iron Throne Stocking Hanger, made of resin and metal, is modeled after the royal chair as seen in the hit HBO show. Few can best a Wookiee in trials of strength, so who better to guard your Christmas goodies than Chewbacca? 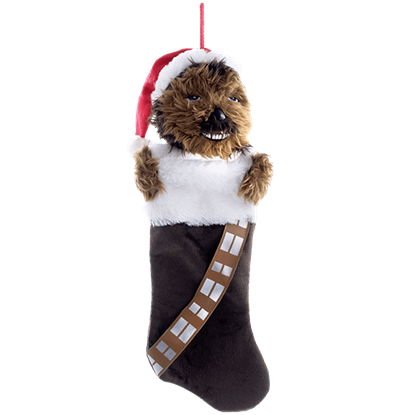 The Star Wars Chewbacca Plush Stocking features the furry plush head and arms of Han Solos Wookiee companion at its cuff. Add some Star Wars flair to your holiday home decor - Sith Lord style. 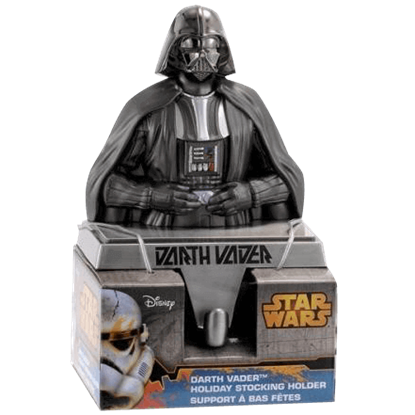 The Star Wars Darth Vader Stocking Hanger depicts Vader from the waist up on a rectangular metal base, from which extends a sturdy hook for holding up a stocking. With a candy cane in hand and a Santa hat on his head, Yoda is ready for the holidays. 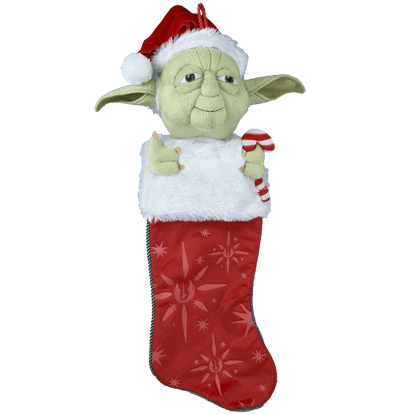 The Star Wars Yoda Plush Stocking features the plush head and hands of Yoda above the opening of a red and white polyester Christmas stocking.